The funny things people do. 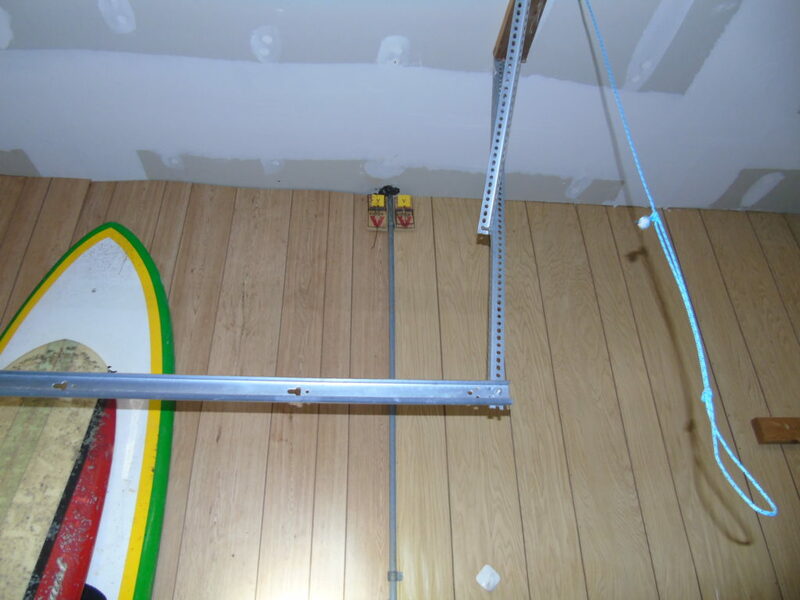 This home owner glued two rat traps to the garage wall near the ceiling where rodents were coming through. They also put some black spray foam there to fill the hole into the attic space. 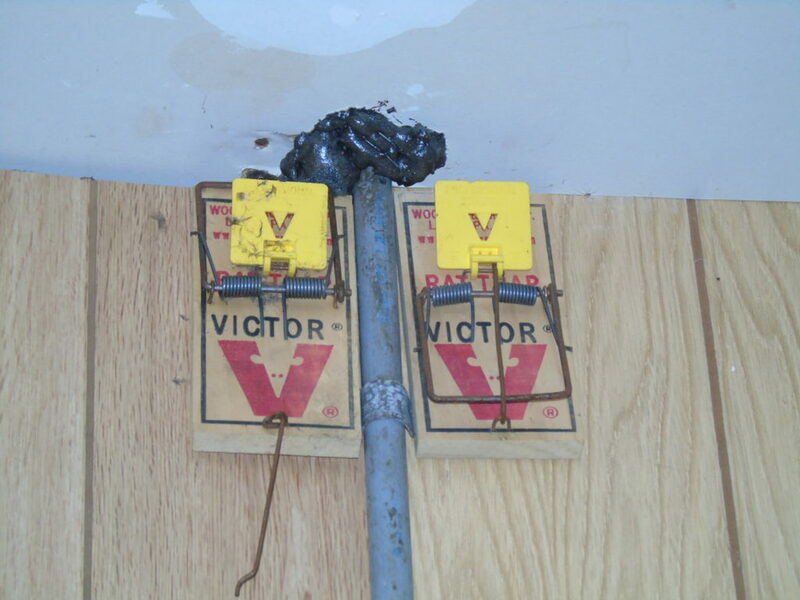 It doesn't look like any rodents have come through since then, but one trap was sprung and the other was still set. Not exactly a correct fix, but it appears to have been effective.